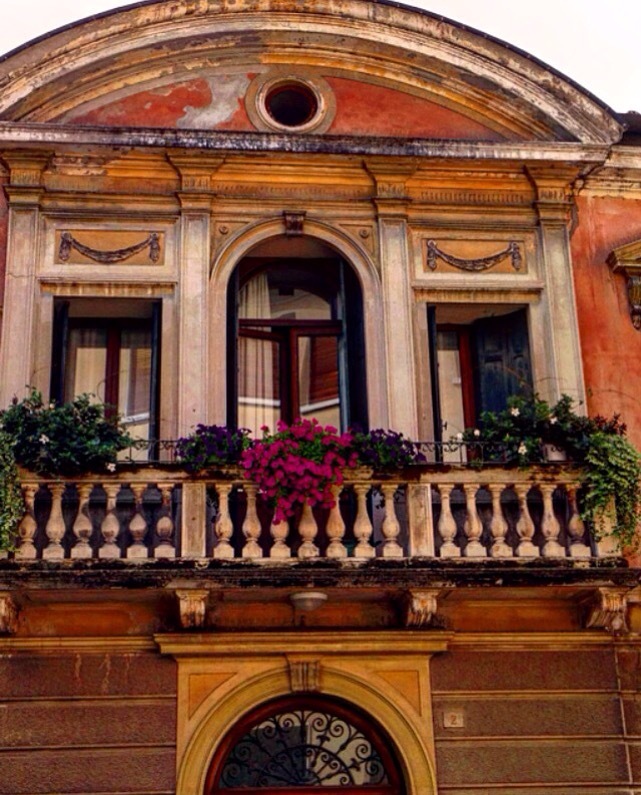 I simply adore this particular building in the center of Treviso near the Duomo. All year long you’ll find the windows adorned with a waterfall of flowers. Where has the time gone this past weekend.. I had one of those big Italian lunches on Sunday and afterwards in the late afternoon went throughout the rolling hills of the Venetian countryside and by the time I got back home it was nightfall. I usually post “Sunday Morning Blooms” on Sunday Mornings of course but this past weekend, I just couldn’t find the time between my feisty two year old ( feisty being an understatement) my two mini poodles and that BIG Italian Lunch. So, I figured why not post this on Tuesday? Flowers have a way to brighten up my day, my mood, my life, my soul.. Happy Tuesday friends. Hope you all have a great start of the week. « On the road to a….